Thanks to live-streaming video and social media apps like Facebook, Instagram, and Snapchat, we're all on camera nowadays. Unfortunately, though, we don't have a script to work with when we're shooting selfie videos, so it's hard to come off as perfectly eloquent when you're just freestyling off the top of your head. Well, the days of random ramblings might finally be coming to an end, thanks to an app from developer mtwain. 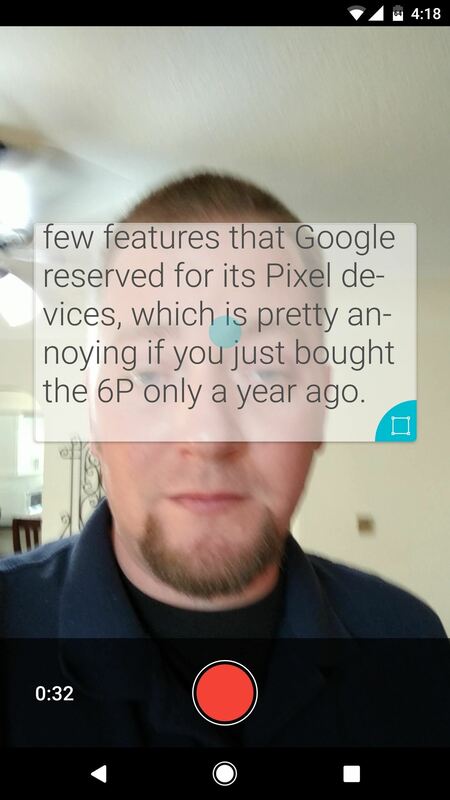 It's a camera app that lets you add a text overlay to the viewfinder, quite similar to how a teleprompter works for news anchors. So there's no need to memorize lines, because you can simply read a script on the screen, then share the video with your favorite service, and everyone will think you're just a well-spoken individual. 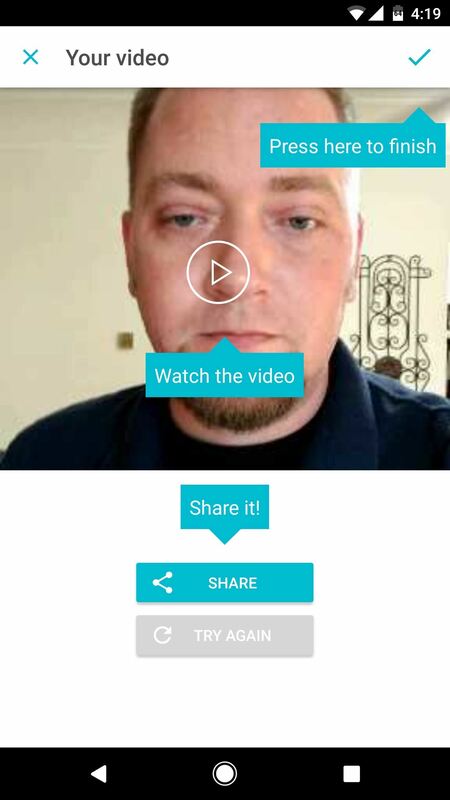 To start sounding a lot smarter in your selfie videos, install Selvi for Android. Next, it's time to add your script or narration. To start, tap the + button near the bottom-right corner of the app's main menu, then you'll have two options. You can either create a new script or narration from scratch by typing it out in Selvi, or you can import an existing TXT file from your device's storage. 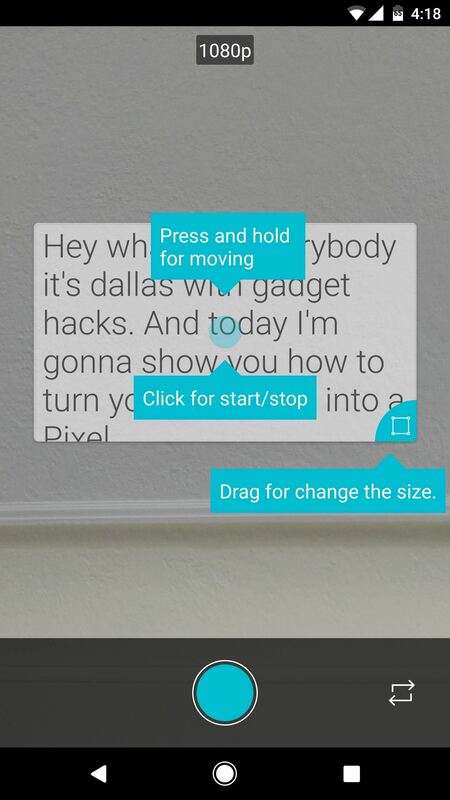 The second option is particularly handy if you want to write your narration on your computer with a keyboard, then send it over to your phone. 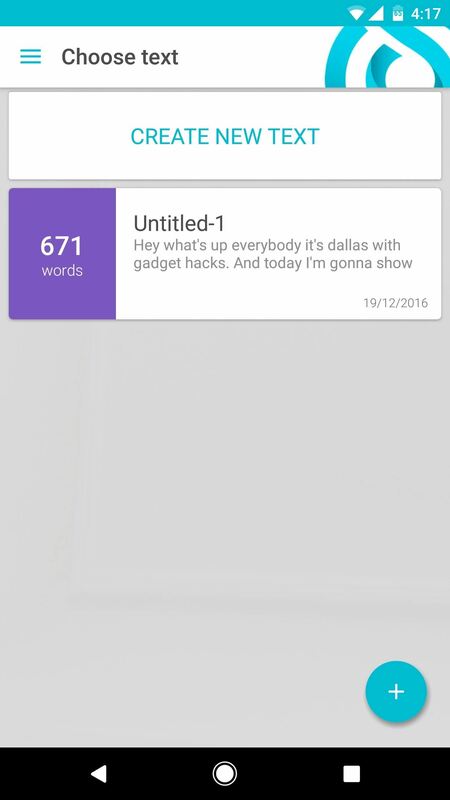 Once you've written or imported a narration, simply tap it from the app's main menu to get started. From here, you'll see an overlay with your script where you can drag the corners to resize the text area, or press and hold to reposition the box on your screen. 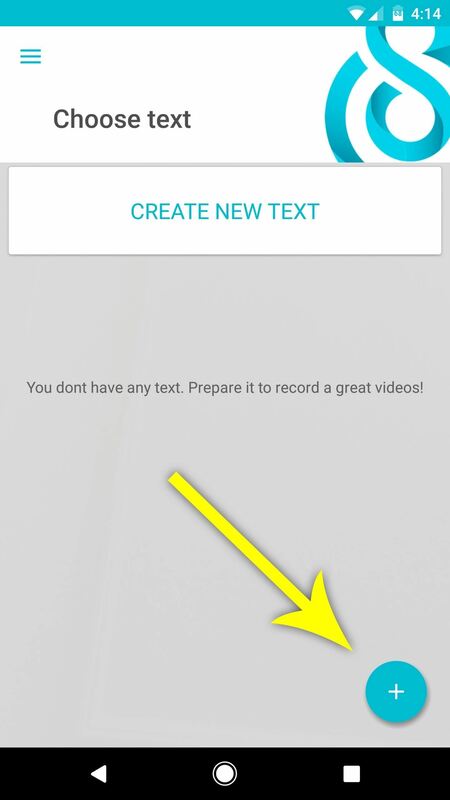 Once you've got the text area adjusted to your liking, simply tap the shutter button at the bottom of the screen to start recording your video. 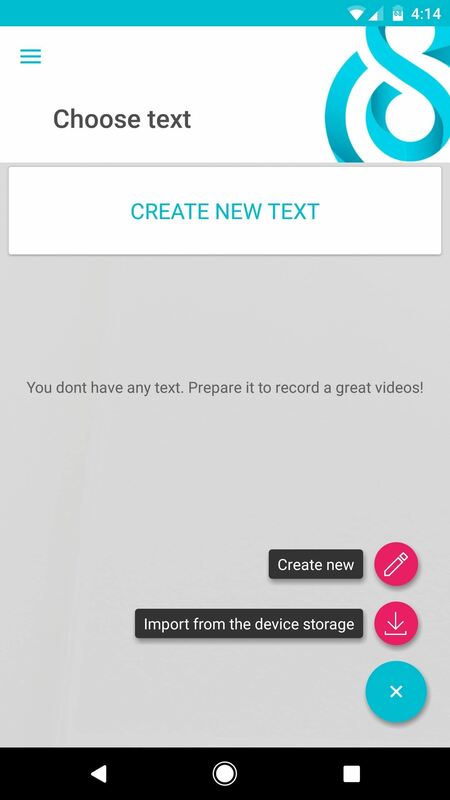 When you do that, the text will start scrolling automatically, and it goes by at a reasonable pace, so it's easy to read your narration while you're filming. Then, when you're done, just tap the shutter button again to stop recording. From here, you've got two options: Either save your video by tapping the check mark, or use the "Share" button to send your video through any compatible service like Facebook, Snapchat, or Instagram. The video itself won't have the script overlay, so nobody will know you had a teleprompter to help with the narration. News: What is 'Chroma Keying'?? ?